We’d like to welcome another pair of newcomers to our series: Claudia Russell and her partner, Bruce Kaplan, from Berkeley, California. She’s a second generation musician whose father—Gilbert Russell aka Val Rosing—was a famous singer in the 1930s, best known for being the vocalist on the original BBC recording of “A Teddy Bear’s Picnic.” Claudia is an evocative singer and guitarist who connects with her audience through her very fine original songs. 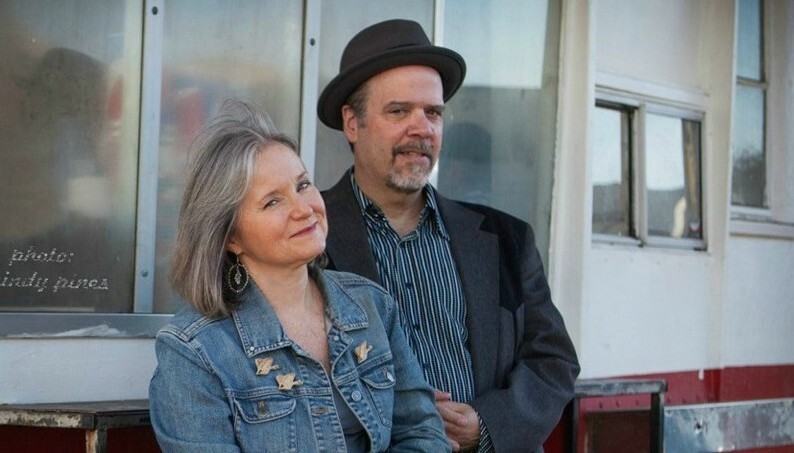 She is joined by her partner Bruce Kaplan, who sings and plays mandolin and guitar.